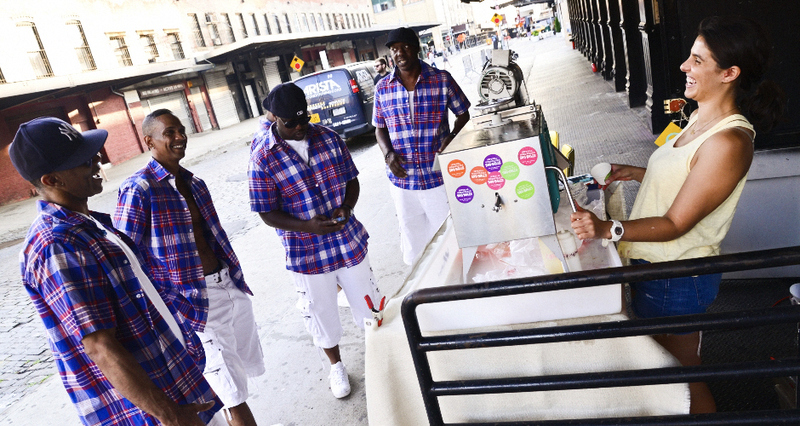 See what happened when Southern transplant and frozen treat-slinger Neesa Peterson got a visit from a throwback R&B group. 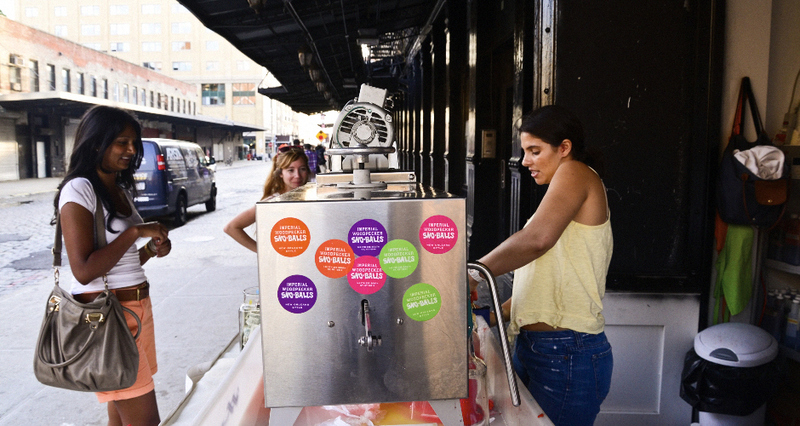 There’s a calm bustle at the corner of Gansevoort and Washington in Manhattan’s Meatpacking District. 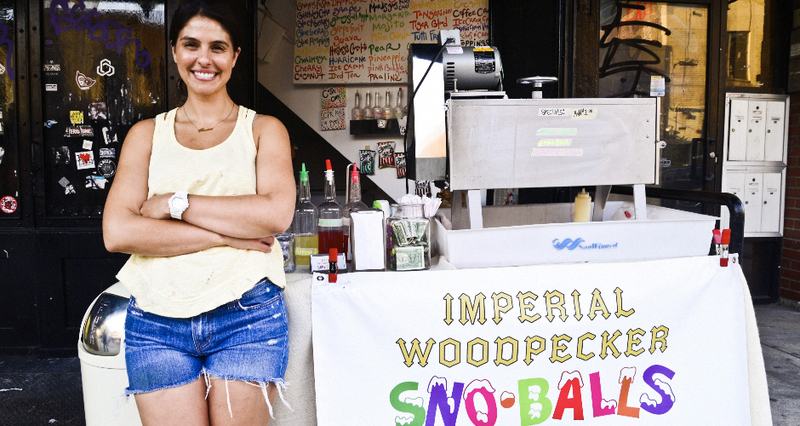 Slender women and well-dressed families pass through the increasingly chic neighborhood—examples of the area’s fashion-forward demo, and evidence of the magnetic pull of the ever-popular Highline. 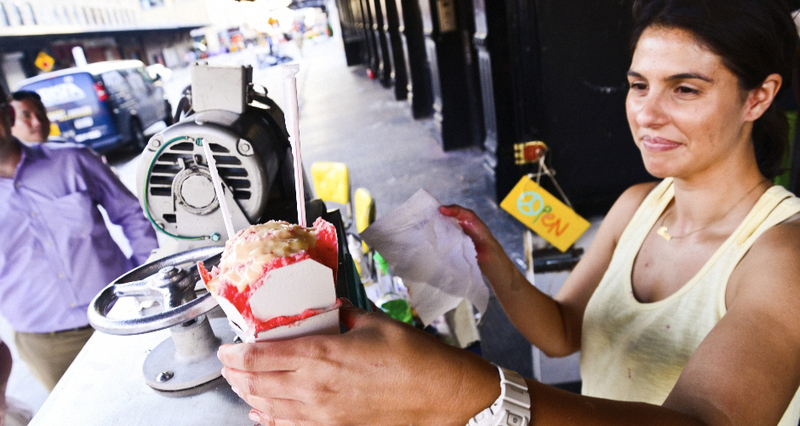 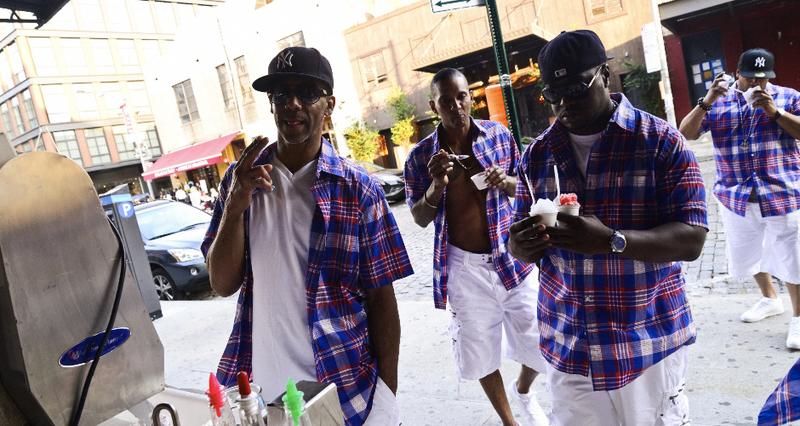 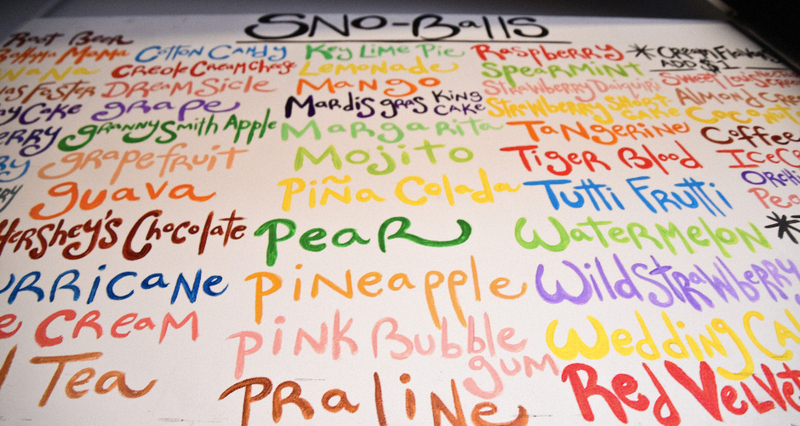 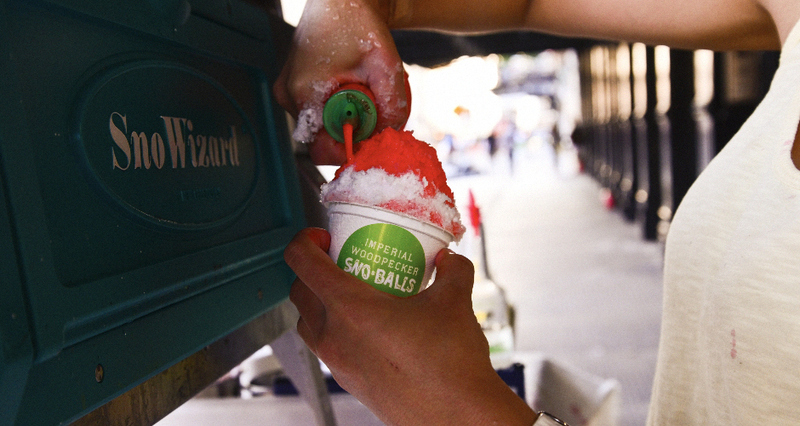 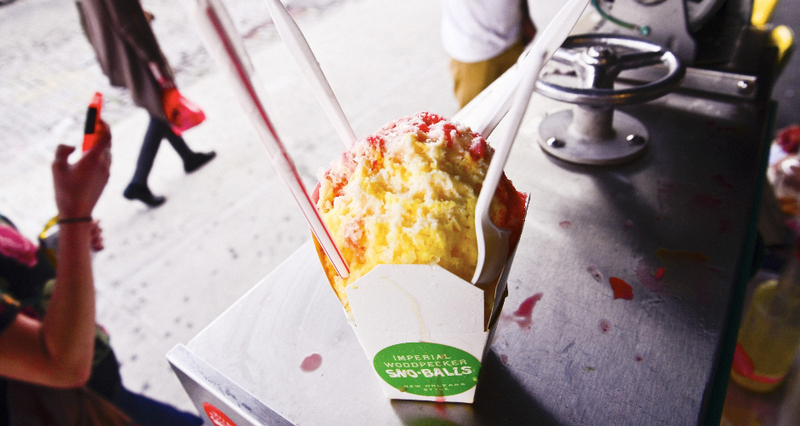 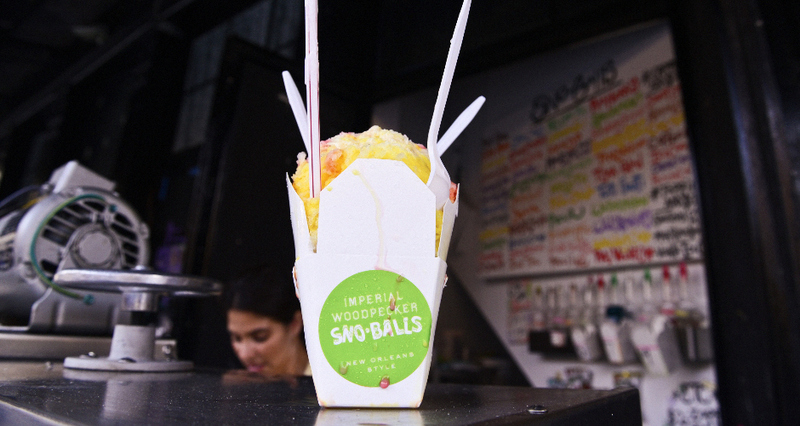 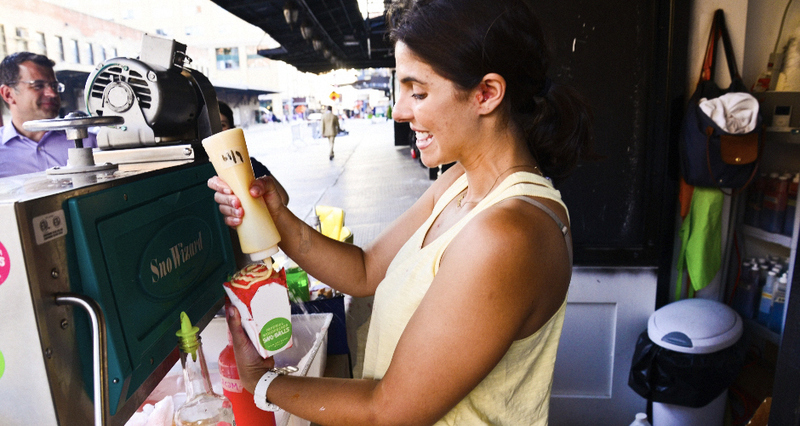 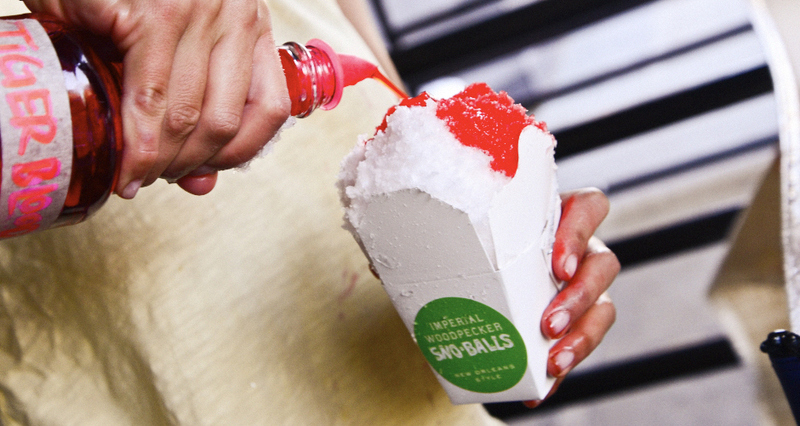 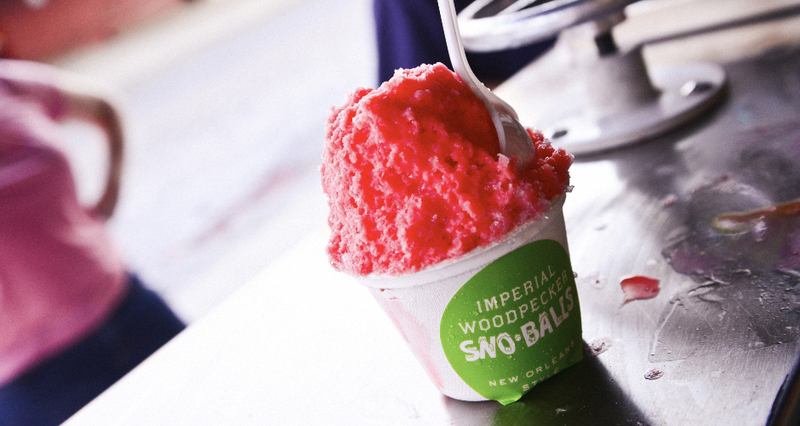 Visit Imperial Woddpecker Sno-balls at 55 Gansevoort St, between Greenwich and Washington Sts, Wed–Sun noon-10pm. 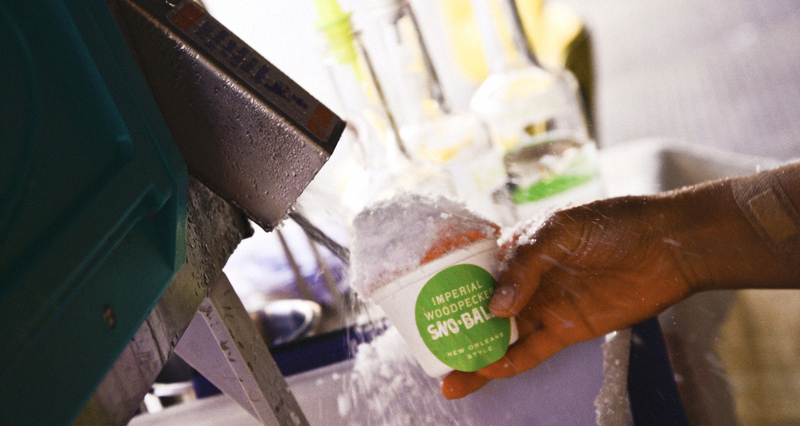 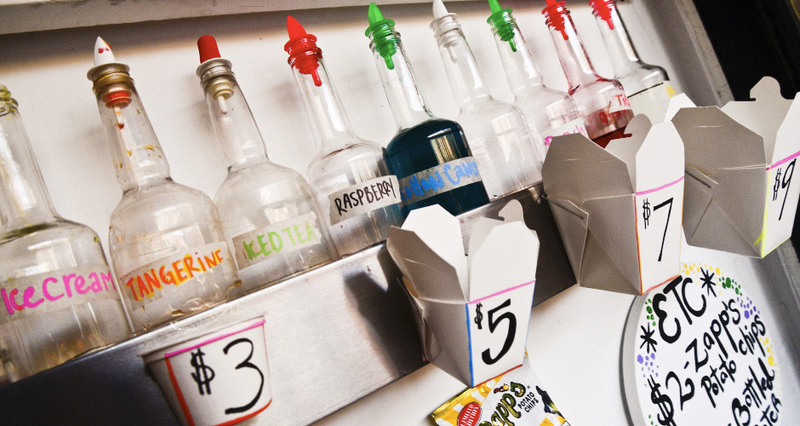 Follow @ImperialSno for updates.